Combo plate #3 at Smokey Mo barbecue comes with mesquite-smoked ribs, two barbecued meats and a side for $18. We upgraded with beans, coleslaw and potato salad. The B9 at Beaut Burger is 100 percent vegan with roasted eggplant, housemade mozzarella cheese and a pumpkin seed pesto. The Bombo Combo, $8.35 at Bombolé with rice, Honduran cabbage salad and curried lentils. My drinking partner Janelle was excited for our beer flight at Casa Marana, which included from left: the Elysian Superfuzz Blood Orange Pale Ale, O.H.S.O. 's Popcycle, Alpine Beer Company's Windows Up IPA and Harbottle's Two Hands Cucumber Saison. The Beet It has fresh beet juice, cucumber, carrots, ginger and more at Juice Envy, 1980 W. Orange Grove Road. Smokey Mo has set up shop in the old Shari’s Drive-In location at 2650 N. First Ave. in Tucson, AZ. The Sultani combo platter, $16.95, on Persian Room's lunch menu comes with a log of filet mignon and a ground beef kebab called koobideh. Kogi Korean BBQ has a homier vibe, unlike the sprawling Korean barbecue restaurants where you grill your own meat. Congrats! 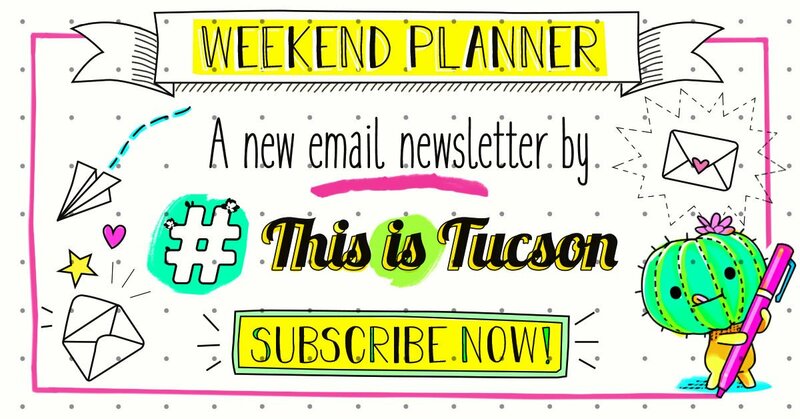 We've made it through July ... And I know it's still flippin' hot out there, but the Tucson restaurant scene is finally waking up from its summer sleepies. This is a big list of brand-new places to eat and drink. A handful of Tucson restaurants were courageous enough to open their doors during the summer. 😆 But thank you for doing that! You have given us something to do, which is especially important if you don't have a Costco card. What am I most excited about right now? Korean food, halloo! Two new restaurants have opened this summer, and one of them serves chili cheese pork katsu. The other one has soju cocktails and a private karaoke room where you can sing and eat kimchi at the same time. And then there's the fact that downtown Tucson is becoming a bonafide brewery wonderland. My beloved Iron John's opened its taproom on Congress last month, and Ten55 is around the corner with its German beer and sausage hall. Cobra Arcade isn't exactly a brewery, but they serve beer too! This trendy Korean barbecue joint is located in the former home of SirVeza's on Speedway. Azian's sister restaurant 7 Ounce has late-night hours and a large bar program, with "Korean sake bombs" that come with soju instead of sake. 🤯 Grill your own meats like LA Galbi, ribeye, filet mignon and more at the table. They have several combo meals that come with an order of hot stone steamed egg, shrimp, pork belly and more, which range from $44.95 to $59.95 for two. They also have a private karaoke room that you can rent out for parties. The plant-based burger stand is the culinary anchor at the Mercado San Agustin's new hyper-local upscale shopping center, the MSA Annex. The curated list of vegan burgers are a mix of classic Americana and funkier creations like the B9 with soft slabs of roasted eggplant, pumpkin seed pesto and housemade "mozzarella cheese." Beaut Burger also has some of the best sweet potato fries in town. Read more. At first glance Bombolé seems like it might be an Indian bakery of some sort, but those aren't samosas on the counter. This downtown lunch spot makes empanadas, but fills them with Indian curries like butter chicken and the spiced potato aloo matar. Owner Jackie Sharma draws from her husband's Indian heritage as well as her own upbringing in Honduras, where savory empanadas are more common. Grab one to-go for $3.85, or make yourself a plate with curry lentils and Honduran cabbage salad. Read more. More craft beer options came to Marana's Continental Ranch neighborhood in June with the opening of Casa Marana Craft Beer + Wine. Kyle Schwab's second effort is forgoing the cinema theme of his Casa Film Bar and going for a standard beer bar experience with 35 brews on tap from Arizona and beyond. Taps are constantly rotating, but on my last visit I spotted some creative brews like a cucumber saison from Tucson's Harbottle Brewing. Read more. This swanky nightclub/arcade on Congress has more than 50 classic games and pinball machines for dirt cheap prices. The Phoenix-based Cobra Arcade also has eight kitschy "cocktails" on its menu, like The Garbage Pail Kid with Mad Dog 20/20, green apple vodka, Blue Curacao and Dos Equis beer?! (It tastes like boozy liquid Fun Dip.) Get your drink on and play some Q*Bert. Read more. The national franchise concept Eat Fit Go opened two stores in Tucson this summer and is planning a third at 6360 N. Campbell Ave. on the southeast corner of Campbell and Sunrise. The grab-and-go spot serves boxed breakfasts, lunches and dinners ranging in price from $6.50 to $13 for salmon teriyaki. Nutrition facts are on the label and the meals are designed to be high in protein and low in sodium. Check out the menu here. Hidden foodie favorite Iron John's Brewing Company stepped into the limelight and opened a taproom on Congress in mid-July. The spot inside the former Tucson Olive Central is creating demand for the nanobrewery's beers, allowing it to produce more craft brews out of its small production facility at 245 S. Plumer Ave. Check out the clean space around happy hour for a buzzy atmosphere; It's got 10 rotating Iron John's selections on tap, as well as a small case of its award-winning bottled beers. Watch out for that roasted green chile ale: It's that time of year again! Next time you're making a noodle run at Lee Lee's, check out the spot next door for some healthy juices and smoothies. Juice Envy opened in July on the northeast corner of Orange Grove and La Cholla. The menu is made up of several raw juices, Brazilian acaí fruit bowls, and oatmeal bowls with toppings like almond butter, blueberry, cinnamon and quinoa. Read more. Seoul Kitchen has moved to 6255 E. Golf Links Road, and the midtown space is now home to Kogi Korean BBQ (not to the confused with the LA food truck). I swung by the shop this week and saw a robust lunch menu with Korean bento boxes under $9, as well as three types of ramen and bibimbap rice bowls. The regular menu has some interesting Korean barbecue dishes listed under it, like mozzarella and chili cheese pork katsu?! You'll also see a variety of Korean stone bowl soups, noodles and donburi rice bowls. This Scottsdale-based restaurant recently opened a Tucson location in an empty shopping center the far northwest side. The sprawling Persian Room is lavishly-decorated with water fountains, ancient art motifs and plush booths. Specializing in the cuisine of Iran, Persian Room offers a menu of expertly-grilled meats like filet mignon and lamb shish kebab, all paired with saffron basmati rice. It's a little bit of an investment, so I suggest splitting a lunch platter and one of their flavorful dips, like the Kashk O'Bademjan eggplant spread. This Kansas City barbecue joint is breathing new life into the former Shari's burger stand on First Avenue. Smokey Mo serves burgers, tacos and two smoked meat barbecue sandwiches for lunch, and does a traditional barbecue menu in the evenings with mesquite-smoked ribs, pork, turkey, tri tip beef, and brisket on the weekends. The sultry smoked chicken wings are an interesting alternative to the regular fried and crunchy variety, and they also do a mean potato salad. Read more. — Fat Noodle ramen food truck just held a job fair for its brick-and-mortar location on 811 E. Wetmore. They're hoping to open Monday, Aug. 6. — Ten55 Brewing and Sausage House is holding its grand opening at 110 E. Congress St. on Saturday, Aug. 11. — Fox and Hound at 7625 N. La Cholla Blvd. is changing its name to Craft Republic this weekend as part of a national rebranding effort. It's holding drink specials throughout the weekend as part of its "grand opening." — There's a sign on the door in the former ice cream shop at 1058 N. Campbell advertising a new concept called Rush Bowls. It's a national acaí bowl franchise out of Boulder, Colo.
— A sign on the door of the former Latin It Up sandwich shop advertises a new cafe called Off the Press Juicery. It promises "organic, clean, vegan, non-GMO, fresh-pressed juices and more." It's at 344 N. Fourth Ave.
— A Chinese-Caribbean fusion restaurant called Asian Sofrito is moving into the former Wild Garlic Grill at 2530 N. First Ave. It will serve dishes like mofongo, carne frita and Panamanian ceviche, says owner Jose Chung. No opening date set. — Construction at the downtown food hall/bowling alley/office building City Park is coming along at 20-60 E. Congress St.
— Caps & Corks beer bar in Marana just put up a sign on its space at 3830 W. River Road last week. This Latin fusion lunch spot opened its doors this Monday. A giant list of vegan food in Tucson — now with more restaurants! Vegans rejoice! Bookmark this page or share with your friends. Kebabs made from filet mignon? Yes please! Tucson is an incredibly special place. Don't waste your opportunity to get to know it. Rollie's Mexican Patio wants to open a second location, but where? A new taqueria, beer hall and sausage shop, ramen joint and more. The menu at Sir Veza's Kitchen & Kantina is largely the same, but the attitude has shifted to fast-casual. Advent of gourmet burgers and national fast-casual chains pushes out 30-plus-year-old restaurant. White Castle is coming to Scottsdale in 2019. Could Tucson be next?